Create your own Deck in the LOTR deck section! 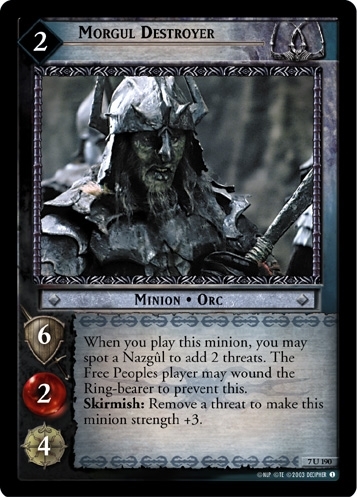 There are 4 entries for Morgul Destroyer (LotR 7 U 190) at the Tradeplace (3 haves and 1 wants). Click here to see all trade list entries for this Uncommon card!